Fostering community through congregational singing. What is Break into Song? Break into Song is Hilary Seraph Donaldson’s ministry of teaching and leading congregational music-making. Singing together is a powerful way to unite our communities and deepen our faith. In faith communities across North America, Break into Song has nurtured congregational singing and equipped leaders to confidently teach songs and integrate them creatively in worship. These free videos introduce new congregational songs, teach practical skills for worship leaders, and capture unique worship experiences. 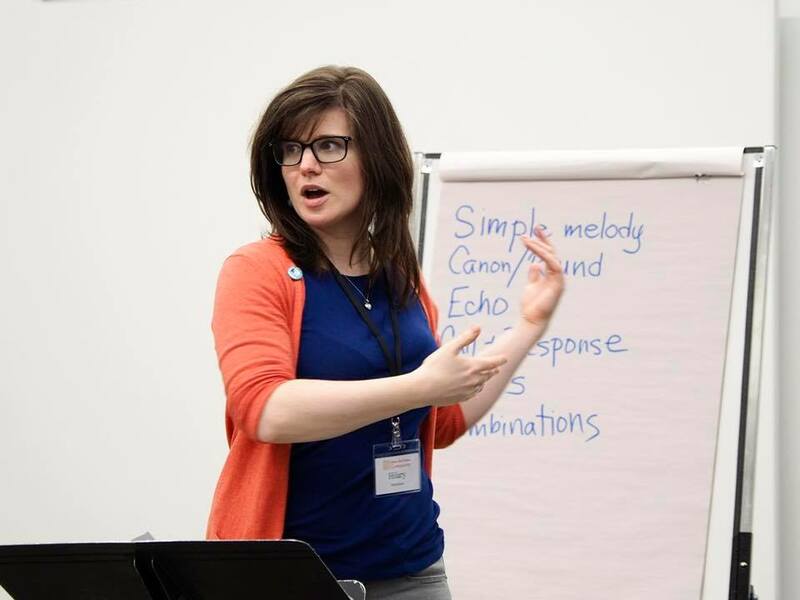 In communities across North America, Hilary has led Break into Song workshops to teach song-leading skills and to make the case for vital congregational singing. Hilary’s academic publications explore the role of congregational song in community life in past and present worshipping communities. Hilary Seraph Donaldson is a musician, worship leader, and writer based in Toronto. She has led adult, youth, and children's choirs in both Toronto and Dallas, and has a passion for church leadership, congregational song, and the drama of worship. Hilary knows how to help ‘real’ people find their song.